If you are moving any time soon (or ever plan on moving), you NEED to pin today's post! 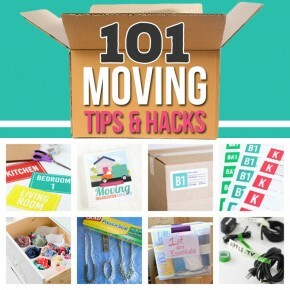 It is LOADED with over 100 practical and easy ideas, genius moving tips and hacks to help you have a smooth move. We're talking packing, cleaning and moving tips that will save time, energy and reduce stress.